The ACT is similar to the SAT test and is designed to help high school students with college admissions. ACT stands for American College Testing, and consists of four main tests: mathematics, reading, English, and science. In 2005 an optional writing test was added. Each category is meant to help gauge a student’s progress in each of these subjects. As of 2011, the number of ACT tests taken surpassed the number of SAT tests taken for students looking to get into college. All colleges in the United States currently accept the ACT test as a measure for admissions. The ACT test was first implemented in 1959. A man named Everett Franklin Lindquist, a professor of education who worked at the University of Iowa was the first to administer the test. He is known as one of the leading experts who understood how to measure academic knowledge and comprehension. Many universities use students’ ACT scores as a gauge of how well they will do in college, although certain schools may consider it less important than others depending on other admission requirements. The ACT test is divided into four separate portions: English, science reasoning, mathematics, and reading. There is also an optional writing test that can help schools better assess a student’s ability to write and compose essays. Each individual subject is scored from one to 36, and composite scoring takes the average of all four categories to give an overall score and view of the student’s abilities. 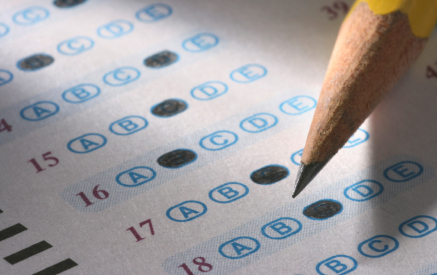 Students are allowed to retake the test in order to achieve a higher score if they so choose. Each category of the test varies in number of questions as well as length of time, with mathematics being the longest at 60 minutes and 60 questions long. The English category has 75 questions but is 45 minutes in length. There are many advantages to taking the ACT test, mostly due to its influence in helping students get accepted into the college of their choice. It is also a good measure for the students themselves to see how much they’ve learned while attending high school and can encourage them in areas where they may need improvement. While the ACT test is widely accepted, some critics say that the essay or writing section is open to interpretation, and thus not an accurate way to score students in this category. Other criticisms include the cost, which is extra if students choose to take the optional writing portion. This test is available to most students nationwide, but is not as widely used on the East coast, although it is becoming more popular. It is offered anywhere from four to six times per year depending on which state it is being taken in. When the test is offered depends on the school, and most schools will notify students in advance so that they can prepare and register. The student will receive a copy of his or her test scores as well as any colleges they choose to have them sent to. The ACT test is also designed to assist students with disabilities by adding 50 percent of the time limit to the total time allotted for those who qualify. While the SAT is the most widely known and accepted form of pre-college testing, the ACT test is now considered on par with it, and all colleges across the country now accept them as a standard assessment test for admission. Some schools use a student’s ACT score solely as a means of consideration for admission, while other schools will also require separate essays and/or interviews. On average, approximately half of all high school students in the US have taken or will take the ACT test for their college admission. The final score will also help colleges determine what levels of courses students should begin with, and can help highlight their strengths and weaknesses. ACT Test Dates and Deadlines – Check here for the latest ACT test registration deadlines and dates of testing. Benefits – Read this website for the many benefits of taking the ACT test. Free Practice Test – You can take a free ACT practice test here. Difference Between SAT and ACT – This article discusses the differences between the ACT and the SAT test. Standardized Testing in College – This article covers how standardized testing is becoming more and more popular both before and during the college years. 7 Basic Rules for Taking the ACT Test – Here are seven good rules to help you when taking the ACT test. What is the ACT? – This website offers a brief yet succinct definition of what the ACT is. The ACT Explained – Here is a thorough explanation of the ACT test, what it means for students, and how it works. Test Prep Videos – This site offers a series of helpful videos to assist students in preparing for the ACT test. Prepping for the SAT and ACT – Here is some helpful advice to assist with preparation of the SAT and ACT tests. About Standardized Tests – This page has some good information about standardized testing in general and why it is used. Schools That Do Not Emphasize Test Scores – Here is a list of US colleges that do not completely emphasize standardized test scores. Resources – This page has links to registering for the ACT as well as a few helpful tips for test day.